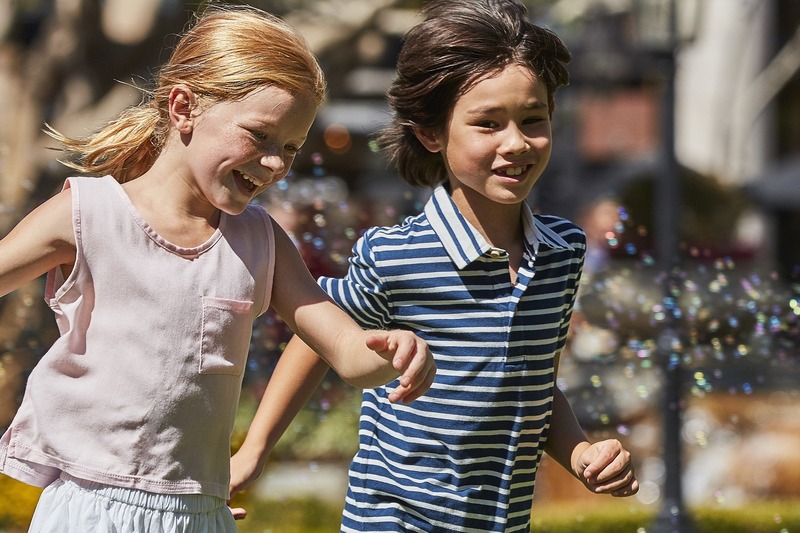 The Commons at Calabasas is open seven days a week, 365 days a year, offering guests from near and far a shopping, dining and entertainment experience like none other. For specific hours of operations at your favorite shopping and dining destinations, please visit their store pages or contact Caruso Concierge at 818.637.8922. Complimentary self-parking is available all day in the parking lots located off Calabasas Road and Park Granada. 10-minute and 30-minute parking spaces are located throughout the lot, near the entrances to shops and restaurants. These spots are reserved for guests doing pickups and placing to-go orders. ADA-accessible parking spaces can be found near the entrances to shops and restaurants. Bicycle racks are located throughout the property. Bike parking can be found near Pick Up Stix, behind Toscanova, and in the parking lot across from Polacheck’s Jewelers. Join us for Kids Club on Tuesdays from 6 – 7PM. Kids Club runs April through October. Kids, parents and caregivers are invited to experience a weekly dose of fun, including live music, storytelling, puppet shows and so much more! Spanning California, from Montecito to Marina del Rey, Caruso properties offer our guests unparalleled shopping, dining, entertainment and living experiences.